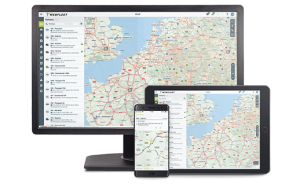 Managing your fleet’s operation has never been easier. solution for your business, helping to improve your service level and increase your drivers’ safety and stay compliant with HMRC. to ensure both they and their drivers comply with minimum safety standards. to you and your employees. whether you have a fleet of 5 or 500 vehicles. Regulations always mean one thing for companies, more work. Proving that rules are being adhered to also requires precise data. By gathering and recording data automatically, you significantly ease the load on logistics, staff and administration. can have a significant influence on fuel spend, vehicle maintenance bills, fleet insurance costs, all while helping to keep your drivers safe. If driver safety is compromised, you risk not only the welfare of your employees, but your company’s brand image and reputation can also be seriously damaged. during and after their trip, while detailed reports allow managers to monitor performance trends and drill down to identify factors contributing to these trends. Therefore, it is possible to quickly build an accurate picture of how your drivers perform out on the road, including detailed analysis of their individual strengths and weaknesses. As a result, performance analysis can be easily aligned with business goals. BE GREEN – Prove environmental responsibility by demonstrating your efforts to reduce fuel consumption and CO2 emissions. INCREASE DRIVER SAFETY – Real-time feedback and advice on safer driving results in fewer accidents and maintenance downtime.